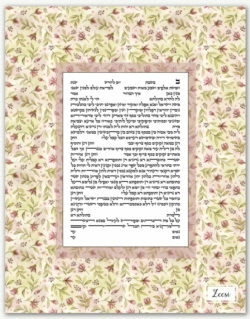 Leaf and floral pattern inspired by luxurious brocade fabrics. 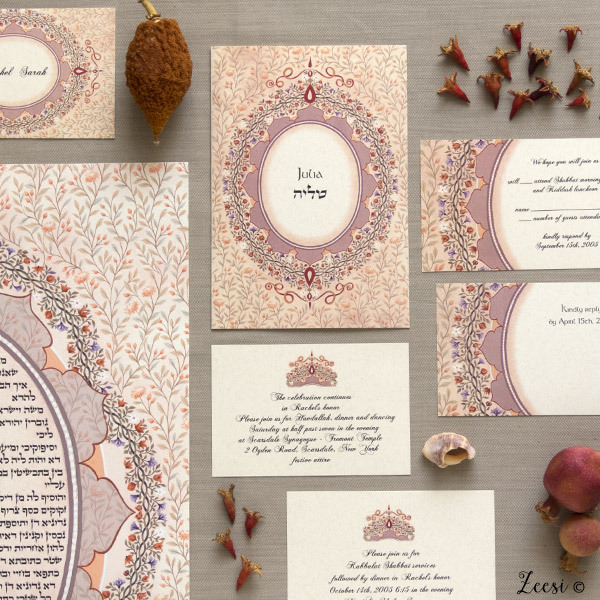 The fine art ketubah collection is inspired by the colors and textures of Jerusalem. 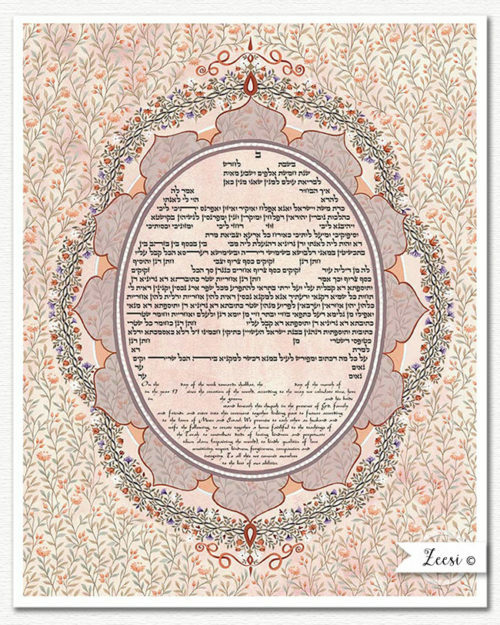 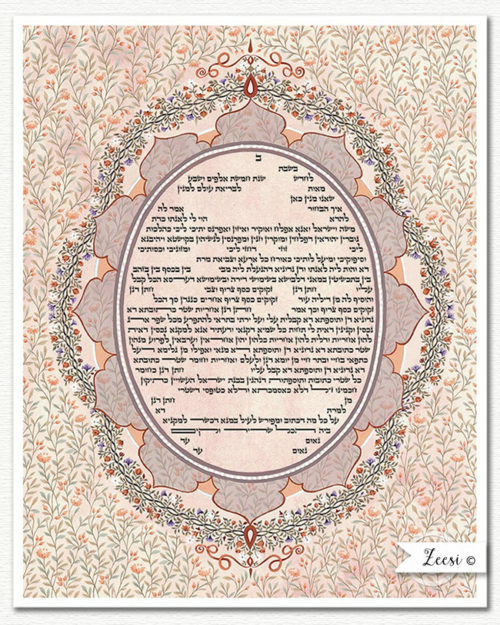 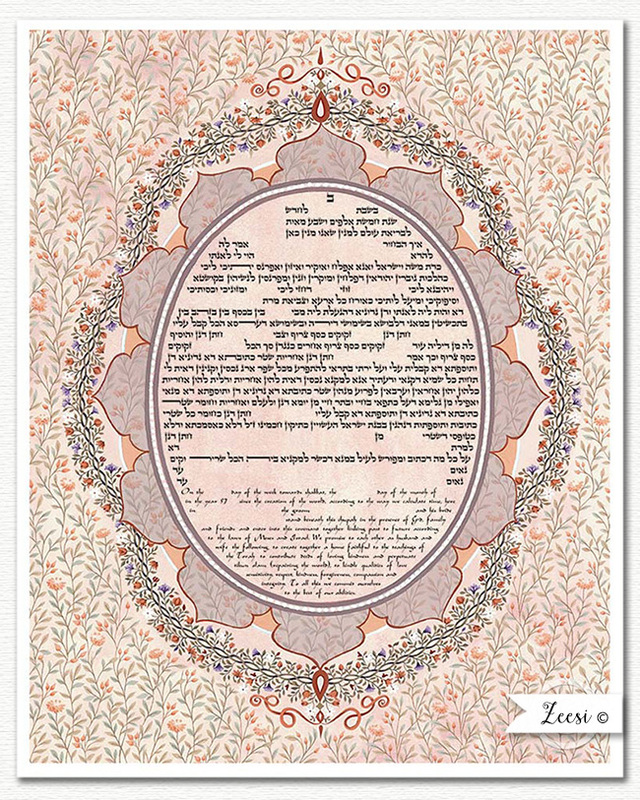 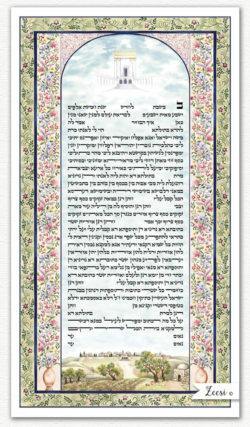 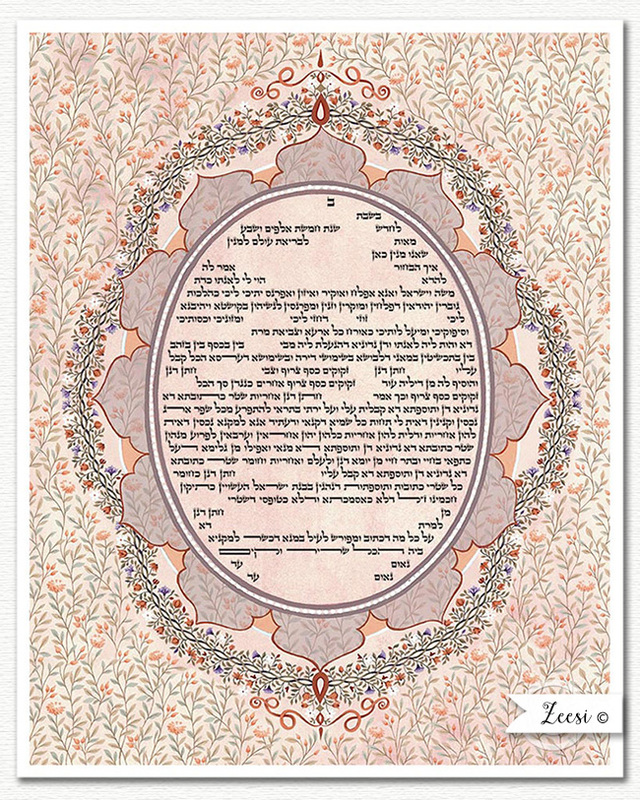 Each ketubah is printed to order, allowing the text to be checked by the rabbi performing your wedding. 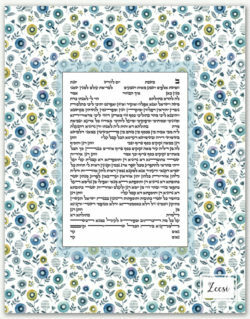 Custom coordinated invitations and benchers are available by request using images and concepts from your ketubah.